As Storm Breaking opens, the western allies, led by Karal, Karsite Sunpriest and delegate to the Valdemaran Court, and the Adepts Firesong and An'desha, have traveled deep into the Dorisha Plains to locate the ancient ruins of the Tower of Urtho, Mage of Silence, creator of the gryphons. Legend has it that below the Tower, deeply buried beneath the plains, is Urtho's Vault, hidden stronghold of some of the most powerful magical weapons ever devised - weapons that Urtho himself felt were too dangerous to use. No longer the willful novice of Winds of Fate, Princess Herald Elspeth has completed her magical training. She returns to her homeland with her beloved partner, Darkwind. 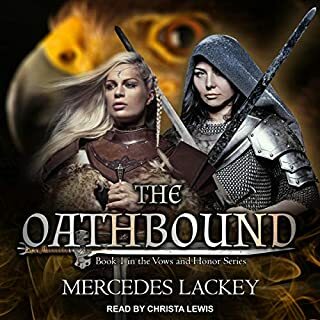 Will they be strong enough to confront the magical evil that is threatening their land? 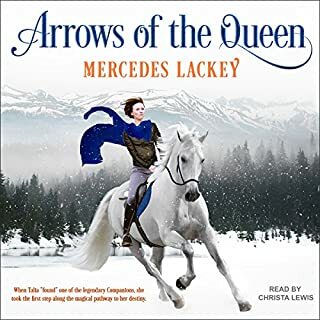 Arrows of the Queen introduced listeners to the remarkable land of Valdemar, the kingdom protected by its Heralds - men and women gifted with extraordinary mind powers - aided and served by their mysterious Companions - horselike beings who know the many secrets of Valdemar's magical heritage. 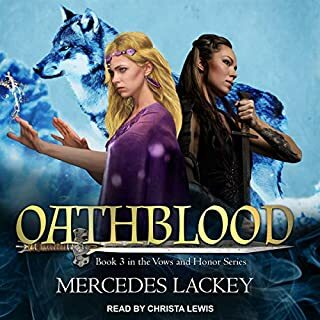 None but the Companions remember the long-ago age when high magic was lost to Valdemar as the last Herald-Mage gave his life to protect his kingdom from destruction by dark sorceries. Evil had cast its shadow over the kingdom of Rethwellan. 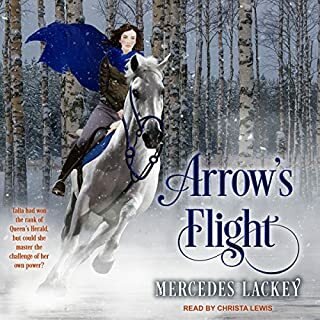 When Idra, leader of the Sunhawks mercenaries, failed to return from a journey to her home, Tarma and Kethry, warrior and mage, set out in search of their vanished leader. 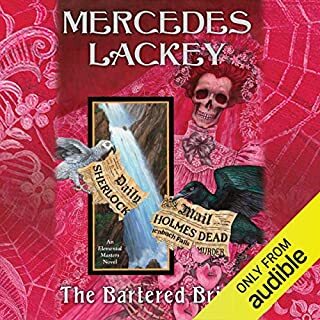 Even as they mourn the loss of their colleague, psychic Nan Killian, medium Sarah Lyon-White, and Elemental Masters John and Mary Watson must be vigilant, for members of Moriarty’s network are still at large. And their troubles are far from over: in a matter of weeks, two headless bodies of young brides wash up in major waterways. A couple who fears for their own recently-wedded daughter hires the group to investigate, but with each new body, the mystery only deepens. The more bodies emerge, the more the gang suspects that there is dangerous magic at work. 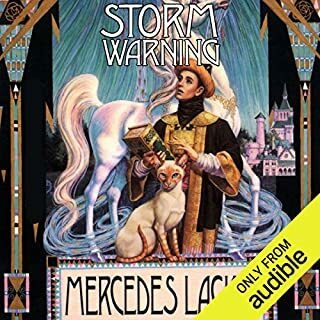 In Storm Rising, mysterious mage-storms are wreaking havoc on Valdemar, Karse, and all the kingdoms of the West, plaguing these lands not only with disastrous earthquakes, monsoons, and ice storms, but also with venomous magical constructs - terrifying creatures out of nightmare. 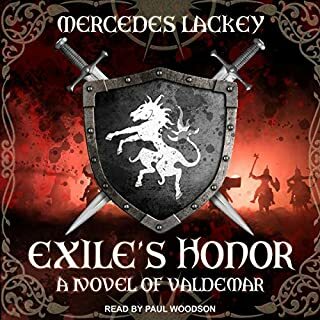 Both Valdemar's Heralds and Karse's Sunpriests struggle to marshal their combined magical resources to protect their realms from these devastating, spell-fueled onslaughts. But as the situation becomes bleaker and bleaker, the still fragile alliance between these long-hostile lands begins to fray. And unless Valdemar and Karse can locate and destroy the creator of the storms, they may see their entire world demolished in a final magical holocaust. 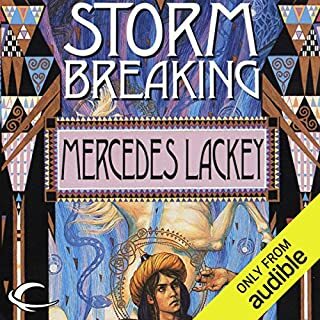 ©1995 Mercedes R. Lackey (P)2013 Audible, Inc.
Where does Storm Rising rank among all the audiobooks you’ve listened to so far? 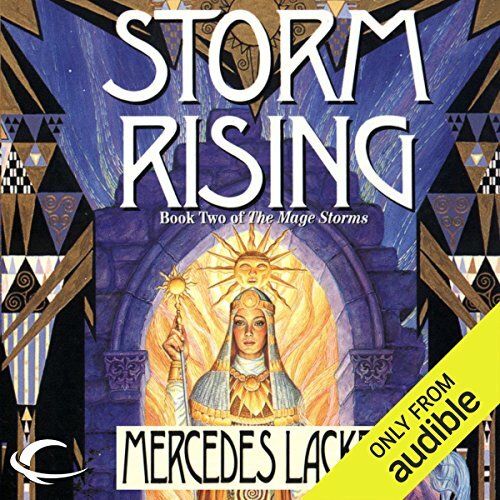 What other book might you compare Storm Rising to and why? 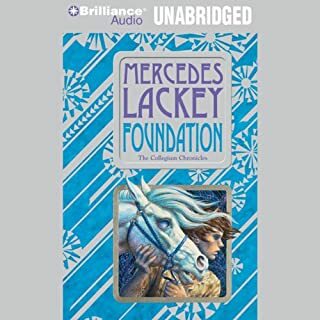 Anything else by M. Lackey. It's very much in her style with many interesting characters but common threads bringing them all together. What three words best describe David Ledoux’s voice? 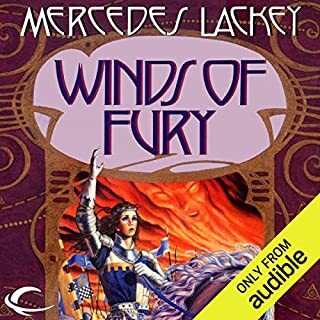 Audible needs to get evety book written that has anything to do with the Vadamar Series. 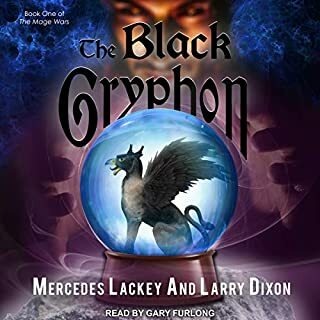 Including the Black Griffin books. The stories are good enough to buy no matter who reads tjem. 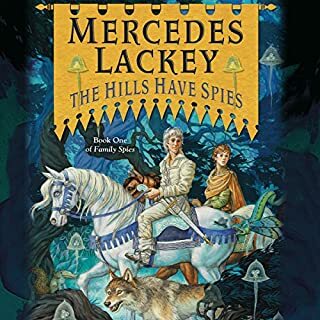 Another good story by Lackey, but the kindle version is completely riddled with typos. Very annoying. 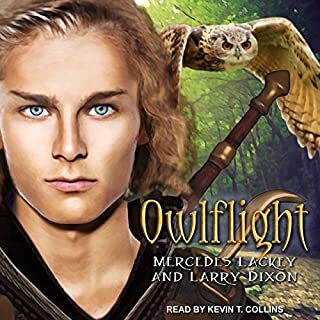 The audible performance is terrible: the reading is painfully paced, with very long pauses between words or phrases which are alternately vocally drawn out or read quickly. On top of that, the narrator uses excessively dramatic intonation, making the story feel whiney and angsty. this ends in an almost cliffhanger, so make sure you have the next one (storm breaking) ready. 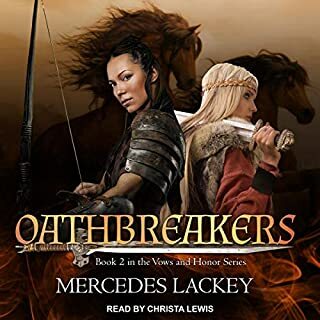 this is a great book but does not stand alone, like many of Lackeys trilogies. The guy who is reading this story sounds like he's on some sort of and feta mean all the time. I can never tell when the action in the story is building because the way the guy talks every. single. thing. he. does. is. exciting. It's as if this guy doesn't know how to modulate his voice at all. I like the story, but I really don't like the reader. What did you like best about Storm Rising? What did you like least? 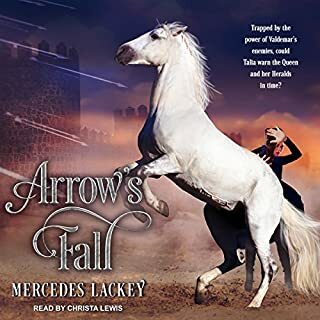 I like the story; I think it's a compelling divergence from her 'normal' novel in that it involves many more characters and storylines than her usual. 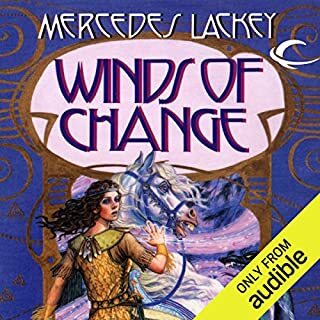 I like the perspectives of Tremaine, Solaris, and Firesong; Firesong in particular has some interesting character development. Good job building up each character through their actions. Storm Warning, but more involved into Tremaine. Would you be willing to try another one of David Ledoux’s performances? Only if he proofed his pronounciation!! "Duchy" is not pronounced 'ducky'. Lots of words that he should likely have looked up before reading them, and a few misplaced words here or there that weren't caught in the proofing. Story is great; narration could be better. early work, it gets a bit ranty and over exploratory in places. a great deal of the internal introspection of the characters felt overdone and explored well beyond the nth degree. as for the narration, what was true for book 1 is still so here. the pacing and audio levels are inconsistent, and there are sections of audio that are ... audibly... different indicative of multiple recording sessions with different equipment. 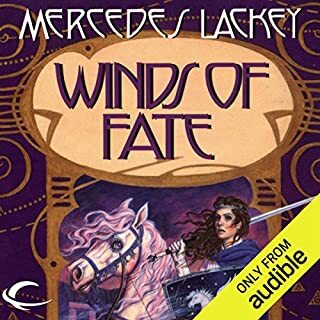 loved the book i can't wait to listen to the next in the series. 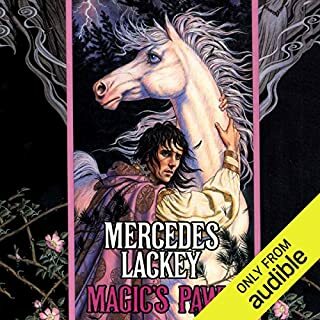 I have been a huge fan of Mercedes Lackey for many years.